Eleven Nobel Peace Prize laureates. The Dalai Lama. Pope Francis. These are just some of many who support an initiative to #HelpAfricanAlbinos. In many countries, people with albinism are discriminated against, harassed, and persecuted. There is too little understanding and too much false information. 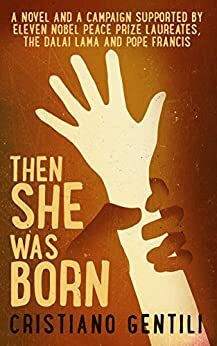 Then She was Born is an attempt to spread awareness of the problem using a fictional account of a girl, Adimu, who is born in a village. We see her struggle for survival against powerful superstition and tradition. Using information taken from the accounts of many African albinos, the story is gripping, moving, and also a call to action. The book was originally written and published in Italian by Cristiano Gentili as Ombra Bianca and has been masterfully translated into English for the reviewed edition by Lori Hetherington. The story is engaging, with characters that are relatable and deep. Prior to reading this book, I had heard passing mentions, but had no real knowledge of the issue. 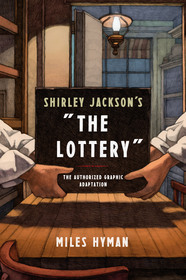 This is a work of fiction, but it is based on real events and there are real lives at stake. I will share this book with anyone among my friends who will read it and I recommend it highly to those who are not local to me. Amazon has banned incentivized reviews, meaning it is now prohibited to post a review of a product that you received for free or that you received payment for writing. I’ve seen this coming and I agree with it in principle. From a practical standpoint, it won’t affect me greatly as my review queue is down to only one book and I’ve not been requesting nor receiving books to review for a while. I will continue to review stuff I buy, both here and on Amazon, when I find something really exciting. I may still review free books on this blog, and as always, if I am reviewing a book that I received for free, I will put this note at the end of the review: Disclosure: I was given my copy of this book by the publisher as a review copy. UPDATE October 18, 2017: I have learned that my understanding of Amazon’s policy was stricter than what Amazon intended. The Community Guidelines state it more clearly in the Promotions and Commercial Solicitations section: “Book authors and publishers may continue to provide free or discounted copies of their books to readers, as long as the author or publisher does not require a review in exchange or attempt to influence the review.” So, I again feel free to post reviews on Amazon for materials I received for free, provided I am not required to do so and the provider has not acted in a way that attempts to influence the review. 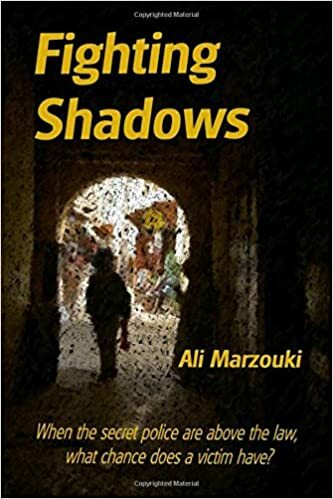 Fighting Shadows is set in Morocco. It is a fictional account that tells the story of one young man’s attempt to find justice after receiving a brutal beating during a political protest. Set against the backdrop of the Arab Spring throughout North Africa, the book attempts to demonstrate in narrative some of the reasons why the uprising never took hold to the point of revolution or civil war, like happened other countries such as Libya, Tunisia, and Egypt. The story begins on that fateful day, February 20, 2011, starting with Farid and his participation in a protest in the town of Sefrou. The reader is taken on a journey that touches on the delicate balance of power in a country that rails against a history of control and abuse of power by the government while also fearing the rise of Islamist fundamentalism should that power be toppled. The novel ably and clearly demonstrates the fear many citizens feel, whether their fear is centered on the local police, on the national security forces, or on the government’s secret forces. The book describes problems with bribery and corruption, but it also describes good people standing up and trying to fight against it. The real question is how effective those fights are or can be. This book does not give a definitive answer, but does an excellent job of asking questions that should be asked. I have written a small amount; about these issues in the past, but not much. I lived in Morocco for 7 years and hope to visit again. I have friends who live there, a few expats and far more Moroccan people. I have no interest in stirring up trouble for myself or for them. At the same time, if we don’t question what we see and ask questions about what could be done, nothing can ever improve, in Morocco or anywhere else. Fighting Shadows does not prescribe a specific remedy, but does a very good job of illuminating the problems that exist. Anyone interested in the politics and people of the region will find that the book helps frame questions that need to be worked through as Morocco and the Moroccan people look toward the future. Will the future be based in fear, whether fear of the Makhzen or of the Ikhwan, or will the future be ruled by hope, and if so, hope in what? Note: this is a self-published book. Often, I find that self-published books deserve closer scrutiny than manuscripts that have gone through the more rigorous editorial and publication process with a publishing house. It is because I found this book to NOT have most of the common weaknesses of self-published books that I decided to post about it. My guess is that the only reason that a large publisher wouldn’t print this is because they may have felt the market was too small for the book to earn out. The content is of high enough quality to deserve your consideration. No disclosure needed. I bought this book and thought it was worth sharing with you.